David Dower and I recently discussed infrastructure for the arts in a Friday phone call. David made the point, with which I agree, that the internet is a kind of digital arts infrastructure that makes traditional bricks and mortar less necessary. The reemergence of café culture – especially when said café has free wireless – also contributes to the ability of small arts organizations to function. 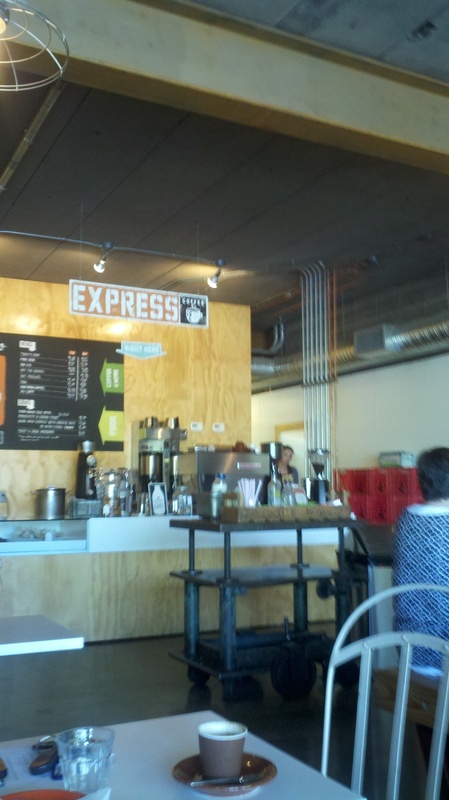 I’ve had Phoenix Fringe Festival board meetings at Xtreme Bean, mentored nonprofit start ups at Fair Trade and Cartel Coffee, and write today from Giant Coffee (pictured, left) in advance of a development meeting. For $5 worth of beverage, these small arts organizations can undertake the important face-to-face collaboration not possible online without paying $450/month for a shared office. Steven Johnson, in Where Good Ideas Come From, points out that café culture has historically enabled the creation of great art. I am so glad it is doing so again. So THANK YOU, independent, locally owned coffee shops. You help make art possible.